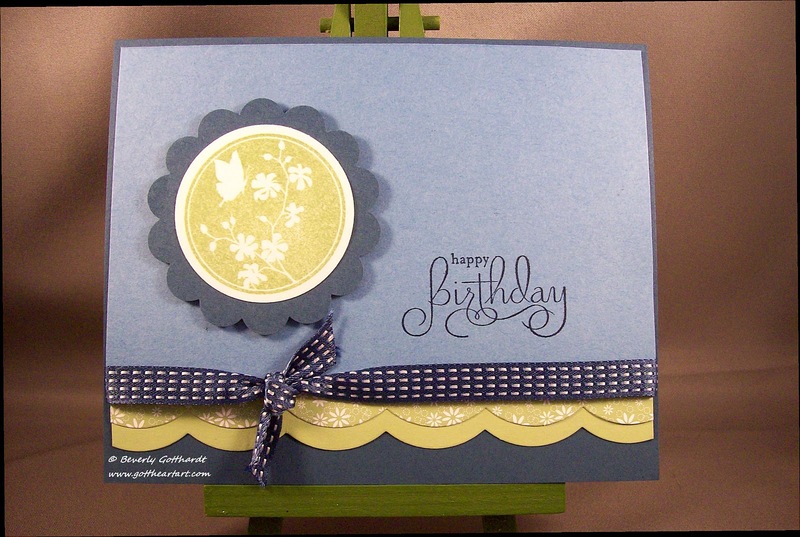 I've got several projects rolling around in my head right now so for this challenge at Mark's Finest Paper & Stamps I decided to keep this birthday card pretty plain and simple. 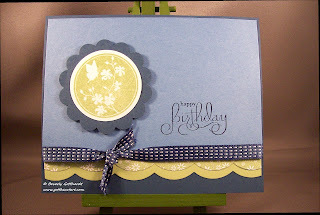 I used Pear Pizazz ink but it photographed more like one of the new In Colors that Stampin' Up has Summer Star Fruit. The rest is simple, a die, a couple of punches, some ribbon, and some stamping. A pretty card, suitable for entering this challenge. What a beautiful thank you card! Great job. Thanks for playing along with us this week at Speedy Fox & Friends blog challenge.